When is Lower Face and Neck Lift necessary? Ptosis and laxity of the “subdermal facial mask” (the SMAS) in lower face and neck reflect the signs of overall ageing, including ageing of the lower face. The primary goal of the lower face and neck lift is straightening and repositioning of the subdermal mask (the SMAS/platysma), to which the skin is attached. We thus achieve refreshing the facial appearance, as well as rejuvenation and beautification. The effect of the procedure should correspond to the aesthetic angles, proportions and anatomic position typical for youth. We use the lower face lift to sculpt the jaw line, define the cervico-mandibular angle and soften the nasolabial and marionette folds. The procedure is necessary mostly in cases of minor and medium jowling, submental laxity and neck wrinkling. It is ideal in cases of beautification, associated with early or medium facial ptosis. The result is visible immediately after surgery and is durable. Of course, we cannot stop the ageing process, but it will continue from the new, lifted and rejuvenated position. Back in 1972, surgeons demonstrated that after classic open approach face lifting the skin is not stable and elongates in minutes. 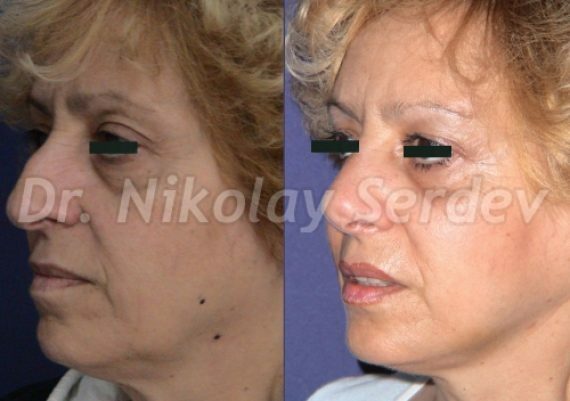 Since then, lifting of the Superficial Muscle-Aponeurotic System of the face (SMAS) became the obligatory method for surgical face lift, in order to maintain a long lasting result. The skin and soft tissue do not drop easily, thanks to their strong fixation to the SMAS. Therefore, if we separate the skinfrom the SMAS, it will age and drop faster, because it will have lost its stable support. As a result, a subsequent SMAS lift will not be able to pull and lift the skin. The consequences of separating the skinfrom the SMAS are a mask-like stretched appearance, changed hairline position behind the ears etc.Naturally, we strongly oppose such this approach. "What if I have subdermal fat?" Subdermal and submental fat in the lower face and neck causes square, "bulldog" appearance. Since it is superficial to SMAS and hangs from the skin, we cannot lift it with the SMAS lift. In such cases, a VASER ultrasonic liposculpture may be necessary to achieve the best possible lifting results. We will thus remove the fat depots, prior to or during the lower face and neck lift procedure. 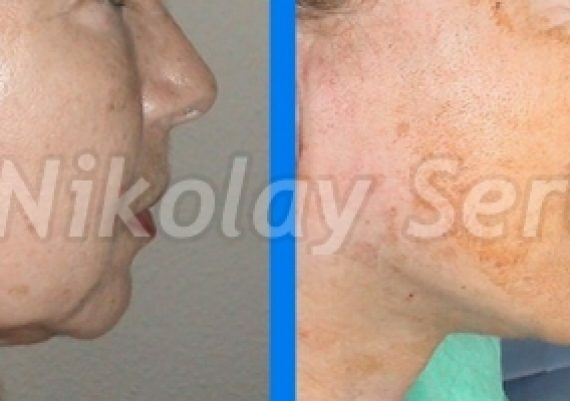 In addition, this procedure tightens the skin gradually. 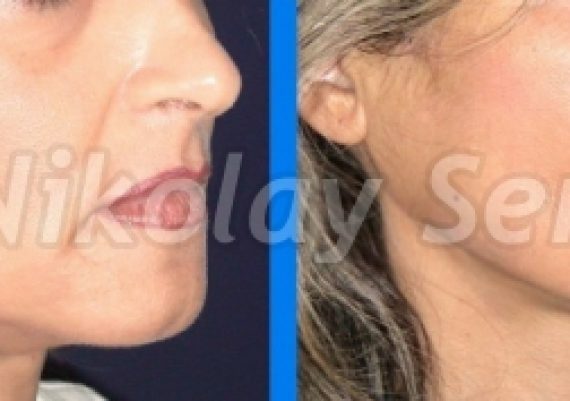 Thanks to the concept of transcutaneous Serdev Suture lifts, we tighten and elevate the lower face and neck without unnecessary incisions, thus leaving no scars. As explained above, the SMAS holds the skin and soft tissue. Therefore, lifting and fixating it to a higher position enables repositioning of soft tissue structures as well. We carry out the procedure only through skin puncture points, which heal and disappear in 2-3 days. Patients can immediately resume their sоcial life. There might be a tight, "pulling" sensation in the first week after surgery. Every surgical intervention leads to a reactive swelling. However, swelling after Serdev Sutures liftings is minimal and can be covereed by the hair. We can apply the procedure to patients of almost any age, if there is sagging of the skin and wrinkling of the neck. This lower face lifting method is suible for men as well, because there is no excision of skin and scarring in front or behind the ears. In cases of more pronounced ptosis, the lower face and neck lift might be insufficient to achieve a satisfactory aesthetic result. In these instances, we have to combine it with temporal and mid-face lifts via Serdev Sutures method, in order to pull the skin from these higher levels as well. We will thus reduce sagging in the lower face and diminish the need to lift it. In this way we rejuvenate the entire face. When we communicate, we look each other in the eyes. Their beautification is not less important than that of the lower face and neck. The correct approach with suture lifts is to start with upper lifting at a younger, as well as at an older age. In this way we open and rejuvenate the eyes, lift the edges of the eyes and lips, restore the cheekbones etc. When we do simultaneously upper, mid-face and lower face and neck lift, we always start with the temporal upper lift. Other areas which must not be overlooked when ageing are brows and cheekones. 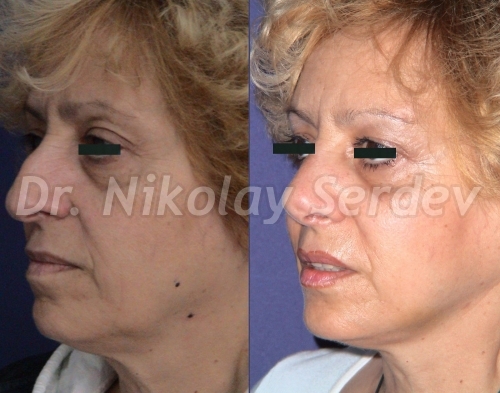 A cheekbone lift has a greater effect on the nasolabial and marionette folds. When we begin the beautification process with some necessary lifts at a younger age (35-45 years), the skin and tissues are more elastic. The effect is more stable, with a more youthful appearance. Ageing is slower, with less sagging. Then, after the age of 55, we can add only a few smaller procedures. We will thus maitain the aesthetic result and will not need skin excision lifts. This is why patients must not wait for an overall facial ptosis after the age of 60 and undergo a classic excision lift. Thanks to Serdev Suture Lifts, patients maintain natural look, without the "operated on" appearance. This is a major difference in relation to the classic lifting methods. The latter are characterized with separation and excision of the skin from the SMAS. They are performed at an older age and leave scars, unsuitable for young and middle-aged patients. The best and most aesthetic method for arm liposuction is VASER ultrasound liposculpture. It is... Read more! 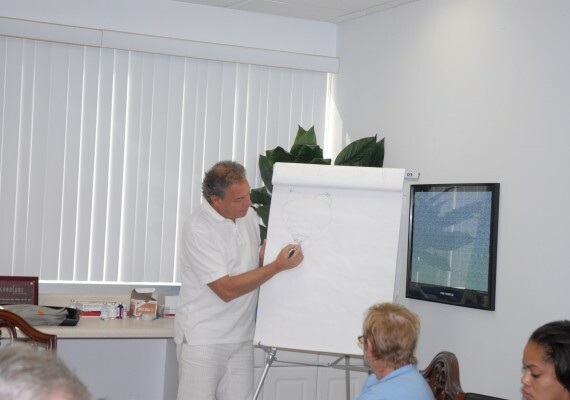 Our Clinic is certified by International College of Cosmetic Surgery for cosmetic surgery... Read more! The scarless breast lift via Serdev Suture method achieves up to 14 cm lift, using only skin... Read more!